Thought you knew everything about Project Butterfly? Share a drawing in a plot style. Use the plot display to let others view the drawing just as if it was plotted. There’s no need to export your drawings to a PDF when sharing a drawing with colleagues or clients. Working in a foreign language? Share drawings with texts in Chinese, Japanese, Arabic, Russian and other languages. As long as you’ve imported your font to Butterfly, the people you share with don’t need to have the fonts, and you don’t need to send them. Send only a selected part of the drawing. If you don’t want to share your entire drawing, you can share only a part of it in a review using the crop feature. You can keep working on the entire drawing while your reviewers only view and comment on a selected part of it. You can also collaborate on pure raster images, PNG, JPG, TIF and other GIS image formats. We know you don’t design only on drawings. Use Project Butterfly to convert between different AutoCAD versions. Just import your drawing and then download it in the desired AutoCAD version. The same goes for people you share with. Now you don’t have to be concerned which version of AutoCAD they’re using. Use AutoCAD command line shortcuts. Butterfly supports most common keyboard commands. View the full list of available commands. Working with non-AutoCAD users? 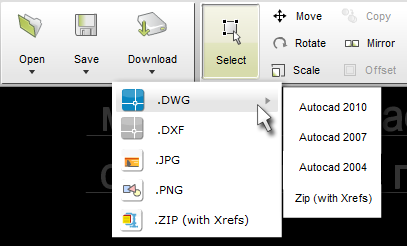 Butterfly is an easy way to share DWG files with users which don’t have AutoCAD. 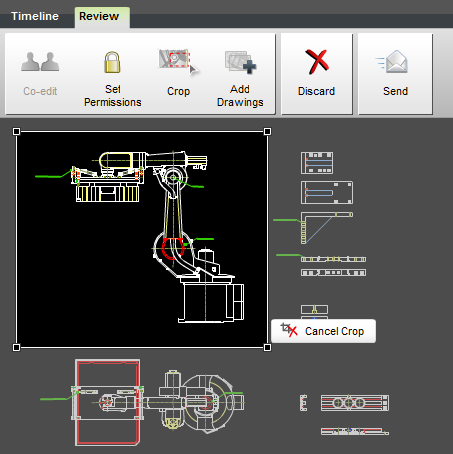 The simple interface allows even users unfamiliar with CAD software to view drawings, add markups and even make simple changes. Share folders in Project Butterfly instead of FTP. Every update to the contents of a folder is immediately accessible to all the people sharing it. In other words, this could be a good substitute for an FTP – files can be shared, downloaded, viewed and edited in one place. View your original design at any time. Project butterfly automatically saves all previous drawings versions you upload, so there’s no need to manually backup drawing files. You can influence the next versions. Send us feedback using the “Feedback” link just above the ribbon. We answer every feedback we receive, so drop us a message with a compliment, suggestion or question. So go ahead, try Project Butterfly and don’t forget to be our fans on Facebook. This entry was written by Butterfly, posted on April 11, 2010 at 7:39 AM, filed under News. Bookmark the permalink. Follow any comments here with the RSS feed for this post. Post a comment or leave a trackback: Trackback URL. Very very good work. Really interesting, really useful. I’m spreading the word anywhere. Thanks, Rafa. That’s very cool. Awesome work guys. Keep it up. not understanding anything totally, but this article offers nice understanding yet. for the reason that this this web page conations actually nice funny stuff too.